Orit Hashay founded her company Brayola when she was pregnant with her first child. Through her own experience, she came up with the idea of completely changing how women are able to shop for underwear. 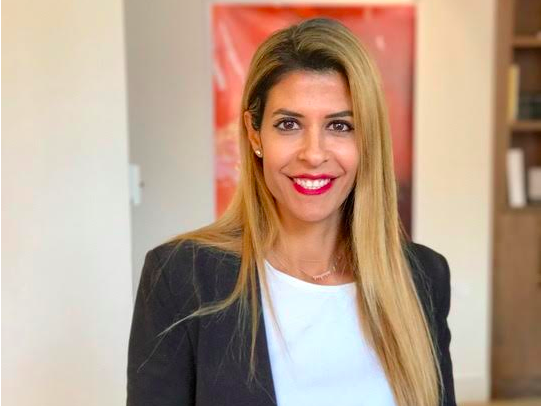 She set up mit4mit, an Israeli wedding services review site, Ramkol, Israel's leading local reviews site, and Vetrinas, a website which lets shoppers look at high-end retailers online. However, despite being an entrepreneur for over ten years, Hashay says women still have to prove themselves in a disproportionately biased industry. "I think the biggest issue women in the industry face is mastering a work-life balance," Hashay told Business Insider. "As professionals, women not only have to deal with double standards in businesses dominated by men, but they have to balance both work and home obligations." In fact, recent research from the World Economic Forum found that women work an hour more than men a day, when totalling paid and unpaid labour. 1. People will pre-judge you. "Raising money as a female founder of a bra startup is incredibly difficult," Hashay said. "It may be 2017, but the tech industry is still predominantly male." This meant that when Hashay was raising money while pregnant, she was asked by some potential investors whether she wanted to come back when she was "less occupied" — meaning "not pregnant anymore." "While the investors liked my ideas, they seemed preoccupied with the prospect of me becoming a mother and how it might change my priorities," she said. "I didn't want to take money from people that were trying to convince me that I'm not sure about starting a business that I knew I was passionate about." Rather than pushing back on the skepticism she faced, Hashay was patient and made sure she was clear about what she was trying to do. It helped that she has also been on both sides of the room, as an investor and a striving entrepreneur. "I consistently ignored the fact that it is hard and didn't take no for an answer," she said. "Any difficulty that I had, I found a way to resolve it." 3. The answer lies in early education. Hashay says women should be encouraged to speak up and be competitive from an early age, the way boys are. "I think the problem lies in early education," she said. "I volunteered at an NGO aimed at helping kids and kept seeing boys freely expressing themselves, even if they were clearly wrong about something, while girls were always less confident, even when they have the right answer." She said every little boy or girl should be encouraged in exactly the same ways, and she is always telling her four-year-old son he could set up his own company one day. 4. Difficult does not mean impossible. Hashay's advice to women is to not take no for an answer. Her pregnancy cast doubt in the minds of investors, but she remained passionate about her ideas and confident in her business plan which eventually won them around. "There will always be people who will doubt you and your abilities, but it's up to you to prove them wrong," she said. "As long as you believe strongly in your ideas, stick to your guns, and put in the hard work, the results will come. Always stand up for who you are, and when you can, stress less."